In 2008, nearly 6000 people lost their lives to texting while driving. More than 500,000 car accidents involved a distracted driver and a cell phone. There is no proof, by way of statistics, that any public organized effort to curb texting while driving has reduced the death rate in the United States. Iconosys, Inc has chosen to join the effort and create and distribute affordable, socially conscious, socially responsible applications for mobile phone users to assist them and in the anxieties about responding timely to text messages and phone calls while driving. 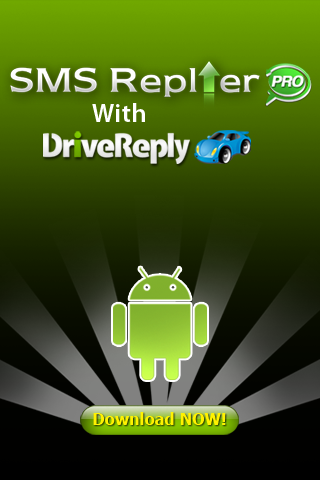 SMS Replier allows the user to comfortably focus on operating their vehicle and know that any callers or text messages that are inbound, will not go unanswered. Instead, their inbound contact has been answered with a responsible message that the recipient is driving and will contact them in the near future. SMS Replier, by utilizing the phones onboard GPS systems, is able to identify if the phone is traveling at a speed greater than 15 miles per hour. If the user is driving, a message is sent. If the user is not traveling, the message is not sent. If the mobile phone is in the possession of a passenger in another’s vehicle or in public transportation, the passenger can disable the Auto Reply system. The convenience messages are very useful and allow the user to live anxious free that their loved ones and friends do not feel like they are being intentionally avoided or ignored.